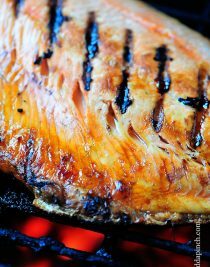 Grilled Salmon is a favorite, light and delicious meal. 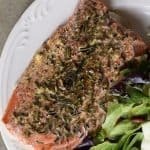 This grilled salmon recipe is the perfect combination of savory and sweet and will quickly become a favorite. 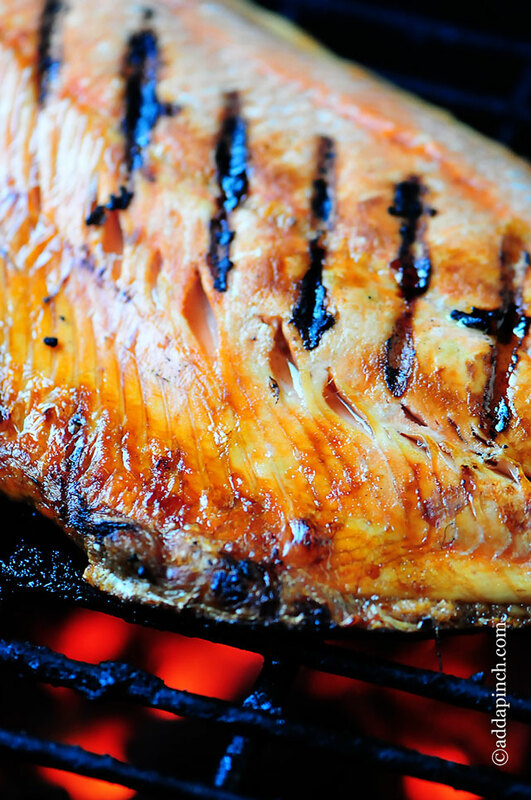 Grilled Salmon is one of my all-time favorite fish recipes. Like ever. I could seriously eat it every week for the rest of my life and be a very happy girl. 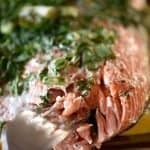 I thought I’d share with you my favorite way to prepare my grilled salmon that always just makes my mouth water thinking about it. It starts with absolutely the best possible salmon that I can find. A few years back, Bart and his brothers went on a fishing trip to Alaska and brought home so much salmon that I was in salmon loving heaven. Anyway, on to this recipe. It is definitely one we love and I feel sure you’ll love it, too! 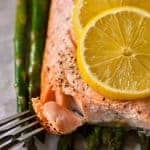 Begin with wild-caught salmon from a reputable fish source. We prefer to use king and coho salmon. Mix together marinade ingredients and pour over the salmon filet(s). Cover and refrigerate for one hour. Preheat the grill to medium heat. Brush grill grates with olive oil and place salmon onto the grill flesh side down. 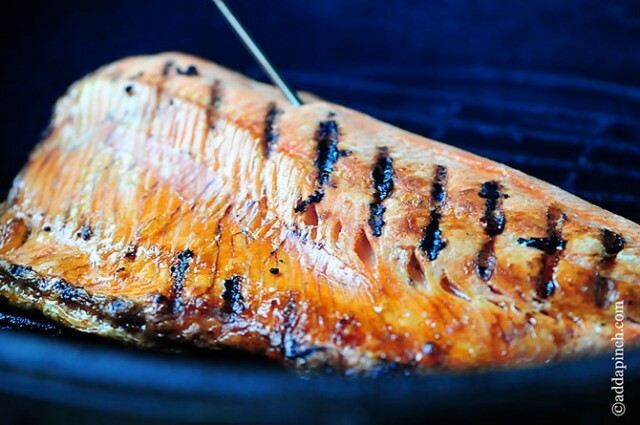 Grill salmon for 6 – 7 minutes and then flip the salmon to skin side down until salmon registers 120º F when checked with an internal temperature probe. Remove from the grill, cover and allow to rest for 5 minutes. The temperature will continue to rise for the grilled salmon as it rests of a carryover temperature of about 127º F.
If you prefer a more well-done grilled salmon, cook the salmon to 130º F and allow the carryover temperature to reach 140º F for serving. Here’s my Grilled Salmon Recipe. I can’t wait to hear how you love it. 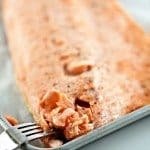 Place salmon filets where they lay flat in a zip top bag. In a 2-cup measuring cup, mix together all remaining ingredients, stirring until the sugar has dissolved. Pour over salmon filets, press out all excess air from bag and seal well. Place flat into the refrigerator and allow to marinate for about 2 hours, flipping the bag after one hour. Preheat grill to medium heat. Brush grate with olive oil and place salmon onto grill, flesh side down for about 6-7 minutes. Flip onto skin side and continue to grill until internal temperature registers 120º F. Allow to rest about 5 minutes before serving as the carryover temperature will continue to rise in the salmon to about 127º F. If you prefer a more well-done salmon, cook to 135º and allow carryover to reach 140º F as the salmon rests. Using a large spatula, remove the skin from the salmon and serve. From the Add a Pinch archives. Originally published 2013. Now that is the most gorgeous salmon I have ever laid eyes on! I had to comment when the words “salmon” and “fishing” appeared! My Husband took me to British Colombia to salmon (our favorite) fish with a guide. It was a wonderful anniversary but we caught zero salmon! I am trying to get up my nerve to try cooking salmon on the grill and I think your marinade sounds delicious- yep, that’s the plan. Thanks for sharing the instructions. I love a good salmon recipe. I’ve had sockeye which is fabulous as well. This sounds delicious and I like your close up photos. I love salmon with soy and brown sugar but haven’t made it like that in ages!!! This looks so good! This salmon looks delicious!! I don’t often cook with salmon. It was too expensive where we lived in Africa but now I can get it more easily. Will give this recipe a try! 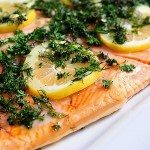 This is my favorite way to prepare salmon! Great, easy recipe, Robyn! 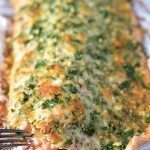 This looks like one TERRIFIC way to enjoy salmon! Made this tonight for company and it was fabulous. Our guests went back for extra servings and even asked for the recipe. We will definitely be having this again. How do you freeze and thaw fish? I would love to buy more salmon when it’s on sale but am iffy on how to make it last. I actually am an Alaskan Commercial fisher(wo)man so my freezer is constantly full of wild salmon that I caught and butchered my self. I’m always looking for another recipe to cook:) this looks great. It looks delicious!! I can’t help but fall in love with that deep caramelization on the sides … MMM!! YUM! We just loaded our freezer from our AK trip. How do you suggest I thaw it? I always thaw in the refrigerator overnight. I am jealous of all that fresh-caught AK fish!!! Your sense of humor is quite delightful!! like your recipes! !